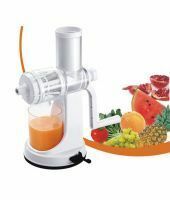 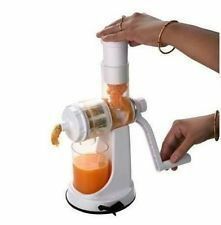 Juicer is manually operated and does not need electricity. 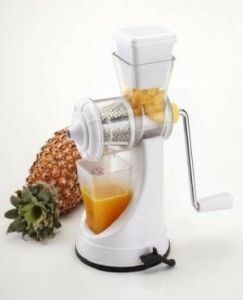 Scientifically designed unit, which makes sure that the juice and wastage, gets separated. 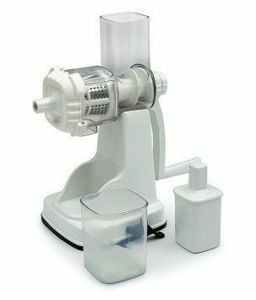 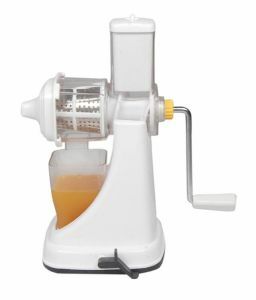 The juicer stays at one place and doesn''t move while it is being used. 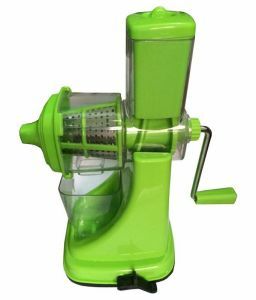 The upper lower body and attachments are made of food grade plastic for longer life. 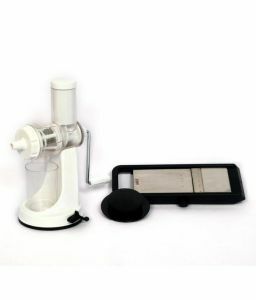 Made From Abs Plastic & Stainless Steel ( Food Grade Material) Which Are Totally Harmless To Health. 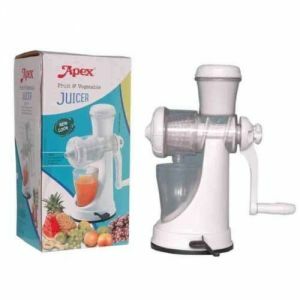 Juicer Is Good For Palak, Tomato, Pineapple, Watermelon, Grapes,& Pomegranate. 1 Year Manufacturer Warranty against Manufacturing Defects.For availing the warranty service, you need to show the original invoice bill at the authorized service center.